Our dynamically evolving Resource Centre (JBC) is committed to responding to the needs of our community members. Educating students for life in a rapidly changing world challenges us to support student learning with innovative ideas and contemporary practice. As a team, JBC staff has a tremendous range of skills. We are dedicated to offering friendly, insightful and accurate assistance. We welcome students and staff needing to access resources or services both from home and at school. Through the JBC webpage, students can locate web tools, online encyclopedias and arrange of subscription-only databases. The online library catalogue allows students to search, reserve and retrieve information that is timely and relevant. resources in support of the multimedia requirements of the curriculum. 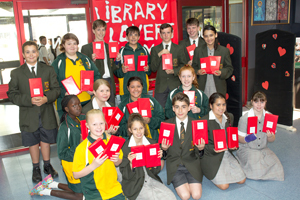 Students learn, use and are encouraged to take-up cutting edge technologies. 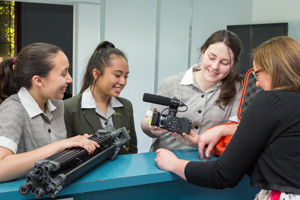 Digital photography and film-making are popular choices. The centre is open each school day from 8.15am until 4.15pm. During the term holidays the JBC is open and times are advertised online and prior to then, through the daily notices.